 We have worked diligently over the years to develop Mackinaw City into a place where group tours, motorcoach guests, convention groups and student groups can truly feel welcome, safe, and at home. 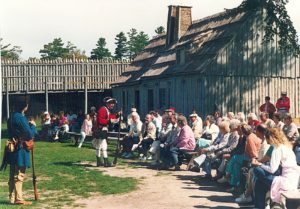 We’ve embraced the best of the old while encouraging fresh and creative ideas to meet the needs of visitors to our area. If you visited us in years past, we encourage you to come back. There is always something new to discover in Mackinaw City! That is just one of the reasons why we have become Michigan’s Favorite Vacation Getaway. 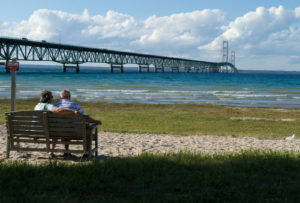 Professional Step-On Services and Tours that take you through Mackinaw City, over the Mackinac Bridge and to all significant points of interest are available at the Straits Area Step On Guide Service. Thank you for taking the time to consider Mackinaw City and the Mackinaw Area for your group tour getaway. 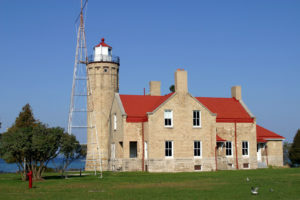 The Mackinaw Area combines the Midwest’s best scenery with the most exciting attractions, quality lodging, delicious dining, and friendly people. From the breathtaking Mackinac Bridge to the one-of-the-kind Mackinac Island where motor vehicles are banned, we boast attractions and tours that cannot be experienced anywhere else. In this modern day hustle and bustle, treat your group to a unique, clean and safe destination that will create miles of smiles. After experiencing Mackinaw, your group will understand why we are Michigan’s Favorite Vacation Destination. If you need further assistance please contact one of our tour professionals.  The Mackinaw Area Visitors Bureau is here to provide the personal attention that you deserve.